Handyman Electric, LLC is a locally owned full-service residential Otis Orchards electrician. We are dedicated to providing the finest in evaluation, installation and customer service. Our professional staff is qualified to assess your project and will assist you in making the appropriate choice of materials and applications. We offer upfront pricing, no hidden fees and will explain every detail so that you understand what is happening throughout the entire project in your Otis Orchards home. 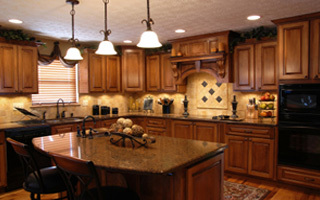 The Washington electrical contractors at Handyman Electric, LLC specialize in residential electrical. Our services range from kitchen remodels, retrofitting, lighting upgrades, low voltage wiring, indoor and outdoor lighting, remodeling, control wiring, and more. Our integrated approach to allows you to get exactly what you need for your business. From build-outs and retrofits to kitchen remodels and lighting control, our electrical contractors work with you through the entire process. Our expertise and reliability is combined with cost-effective design and high quality workmanship to give you control over critical decisions by reviewing all the options available. Our Otis Orchards electricians service all types of clients with complete knowledge and expertise. Our experience and precision craftsmanship set us apart from our competition. Our Otis Orchards electricians are true profressionals. They stay up-to-date witht the latest electric codes, technology and techniques. We offer a wide range of services including electric repairs, electric wiring, electric troubleshooting, electric inspection, ceiling fan installation and more. Our goal is to provide quality work that will last, offer excellent customer service and communicate throughout your entire Otis Orchards electrical project, finishing on time and within budget. We take care of each Otis Orchards client’s needs from start to finish and are accessible and available around the clock to address any of your questions or concerns. If you are considering buying, building or selling a home, wiring or rewiring is a great idea. The electrical wiring experts at Handyman Electric, LLC are licensed and insured electricians who are true professionals. Our electricians can inspect the current wiring in your home and determine whether you need complete or partial rewiring. Our electrical wiring team can also help wire any home additions or any other structure that needs electricity. Most households and buildings regularly require Otis Orchards electrical repairs. This is logical as electricity is always used for operating appliances, equipment, and other machines. Short-circuits and small electrical shocks are normal and are quite usual. However, it is surprising that services of professional electricians are hardly sought. Professional electricians do not look at just the specific area of the problem. As mentioned, when they do electrical repairs, they look at the whole picture. This way, they could assess the condition of the entire system. Consequently, they could identify possible areas where problems could occur next. It is not surprising that the service is like reassessing and maintaining the whole electrical connection system. If you are looking for a reliable and professional Otis Orchards Electrician then please call 509-993-0303.